Nine out of ten buyers take to the internet to search for houses. Nearly six out of ten actually initiate their search online. Search engines have registered a massive increase in real estate searches. These are opportunities for you. 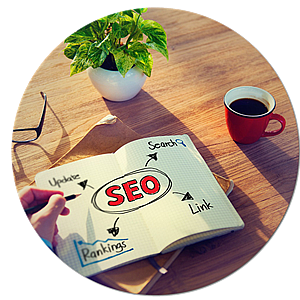 To make the best of these opportunities, you need to improve the visibility of your site. This is where SEO for real estate plays a very important role. If you’re a real estate agent or property dealer, your business covers a given area. Your SEO efforts should focus on targeting local keywords, because that’s what searchers use when looking for properties to buy, rent, or lease. So if you’re into the buying and selling of properties in and around San Antonio, Texas, then you should create content around keywords that include the city name along with phrases such as houses for sale, listings, realtor, neighborhoods, etc. Incorporate keywords into the content. Don’t use keywords gratuitously. Your content should offer value. What are the things that people consider when shifting to a new location? Help them out with these – schools in the locality, conveyance, opportunities for recreation, shopping, etc. Focus on becoming the best resource there is for a given area. It becomes easier when you choose to cover a smaller area. It improves your chances of ranking for the search term. Realtors actually go to the extent of putting up websites that target specific communities, for example, a website in Spanish to cater to the Mexican population searching for property or one in Chinese to reach out to the Chinese-speaking people in your area. Testimonials and videos offer excellent opportunities to incorporate useful keywords within content. Video testimonials are great for convincing prospects to do business with you. Transcripts of videos and keywords in video title and meta tags will help your site rank for the content. Visitors will appreciate the audiovisual input of a video and also images. It helps them make up their mind. Video not only increases user engagement and satisfaction levels, it also helps generate more inbound links. If you’re operating a real estate site, you need to make use of videos. Are there properties that you’re particularly keen to sell. Focus your content efforts on these pieces of inventory. On similar lines, if visitors are searching for particular types of properties or an select areas, then focus on fulfilling user requirements. You could consider dedicating blog posts to addresses for sale in your database. Weave content around these addresses, which will serve as keywords. This drilling down to the narrowest possible search level will help you with local SEO. Whatever the type of content, follow SEO best practices such as using the main keyword in the title, meta tags, and alt tags. Use synonyms and long tail keywords throughout the content. Most importantly, keep the content unique. That is the foremost condition to fulfill when you’re trying to rank for content. Mobile has overtaken desktops for internet use, and in all likelihood, you already know it. Your site has to work on mobiles. Mobile SEO for real estate terms such as foreclosure and house for sale have seen massive spikes in searches on tablets and smartphones. Consult your SEO Loudon expert and discuss the advantages of a responsive website as against one that is purely built for mobile, or you could have a responsive website with an app for your web customers…but that takes your marketing to a whole new level and is beyond the scope of this article. If you’re looking for web development in Virginia, then you do not have to look beyond Applied Tactics, we can develop a responsive and fast-loading website that will do well on both mobiles and desktops, increasing your reach immeasurably. We know what works with mobile websites, from the size of the buttons to the placement of forms. Our Leesburg VA Web Development firm can help you with onsite SEO so that your real estate firm benefits from these efforts. On your part, you should consider getting listed in popular real estate directories such as Trulia and Homes.com. This is a good example of offsite SEO. Also, use social media to reach out to clients, resolve issues, answer questions, market properties, and in doing all these, choose your keywords carefully.